A new diabetes treatment has been launched in the UK. Xultophy (insulin degludec/liraglutide; IDegLira), is the first ever treatment combining two existing treatments in one pen. A new diabetes treatment has been launched in the UK. Xultophy (insulin degludec/liraglutide; IDegLira), is the first ever treatment combining two existing treatments, long acting (basal) insulin (insulin degludec, Tresiba) and GLP-1 receptor agonist (liraglutide, Victoza) in one pen. Xultophy is indicated for the treatment of adults with type 2 diabetes mellitus to improve glycaemic control in combination with oral glucose-lowering medicinal products when these alone or combined with basal insulin do not provide adequate glycaemic control. Adults with type 2 diabetes taking once-daily Xultophy had a significant improvement in blood sugar (measured by HbA1c). Additionally, Xultophy was shown to have a secondary benefit of weight loss and a low rate of hypoglycaemia (very low blood sugar), comparable to Tresiba. In the UK, nearly three quarters of people with type 2 diabetes on basal insulin regimens fail to reach the recommended target for HbA1c of 58mmol/mol (≤7.5%) and are therefore at a greater risk of complications. 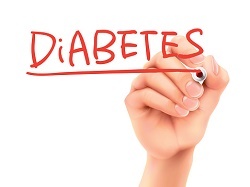 Despite this, market research data for the year to September 2014 show that two thirds (67%) of people with type 2 diabetes who were prescribed long-acting insulin (as the only insulin) had no change to their insulin prescription during that 12-month period. Insulin is an effective diabetes treatment, but it is often delayed due to the risk or fear of hypoglycaemia – and also possible weight gain. A reduction in HbA1c can provide both a huge personal benefit and a significant cost saving through the reduction of complications. A one percentage point drop in HbA1c can lead to a 37% reduction in microvascular complications, a 14% reduction in myocardial infarctions and a 21% reduction in overall diabetes-related mortality.